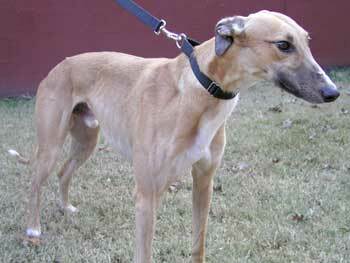 Dasher, aka Dots Dasher, is a handsome 2-year-old red male greyhound, born November 5, 2001. 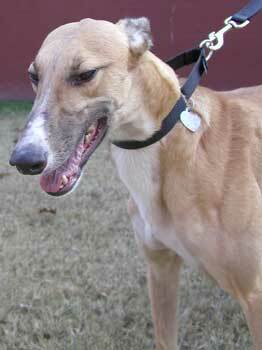 Dasher just retired on December 3 after racing since last August in Dubuque, Iowa. He is outgoing and friendly. Dasher's sire is Molotov and his dam is Dot's Rolly. Dafney is his sister and Dinero is his brother. It is not known at this time if he is small animal or cat tolerant.